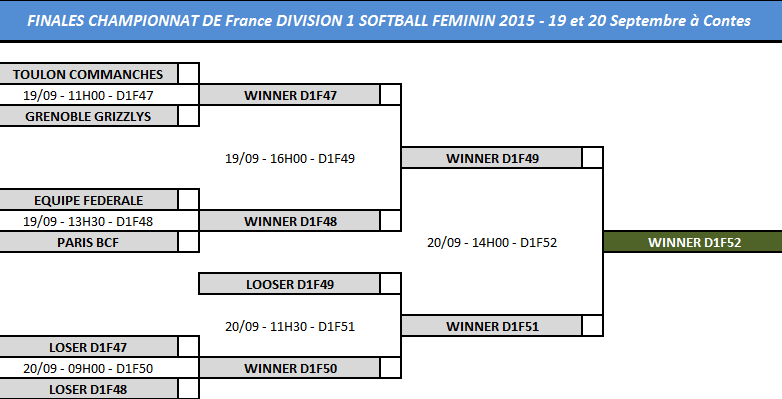 The Women’s Softball Championship in France will be decided at a Final Four Tournament this weekend. Toulon, Grenoble, Paris BCF and a French Selection qualified for the finals. In the semi-finals Toulon faces Grenoble and the French Equipe takes on Paris. The double elimination Final Four will be played on Saturday and Sunday. Live play by play will be available.